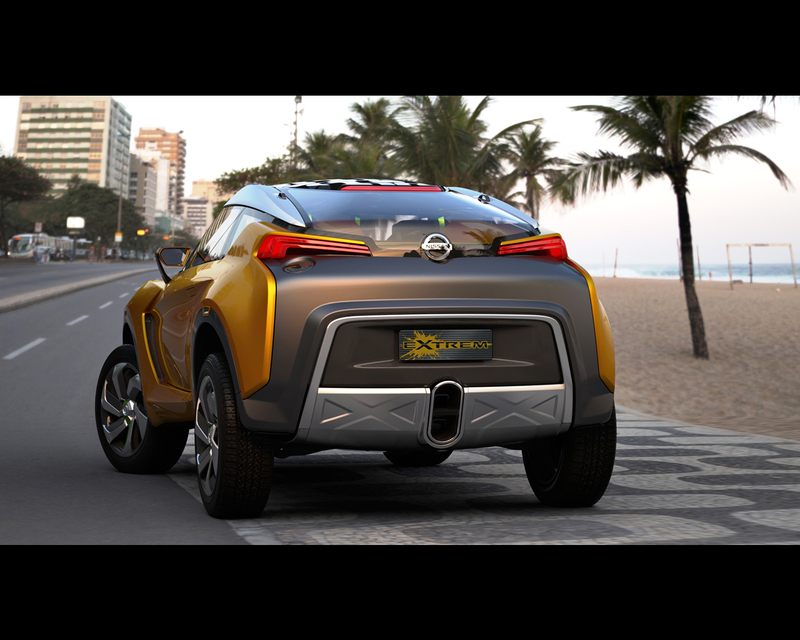 The Nissan Extrem Concept is the first urban sports car designed for and built in Brazil. 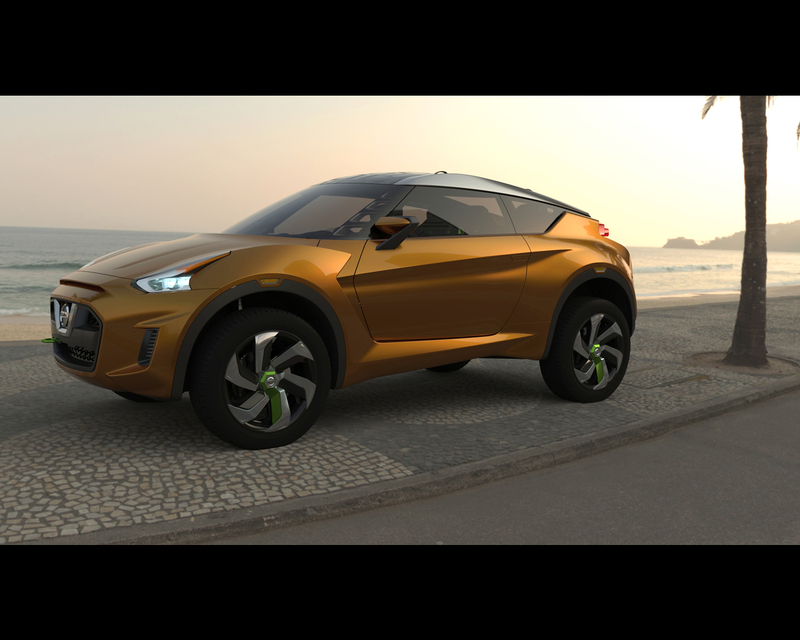 This 2+2 Concept vehicle specifically designed for Brazil was unveiled at the 2012 Sao Paulo Motor Show. 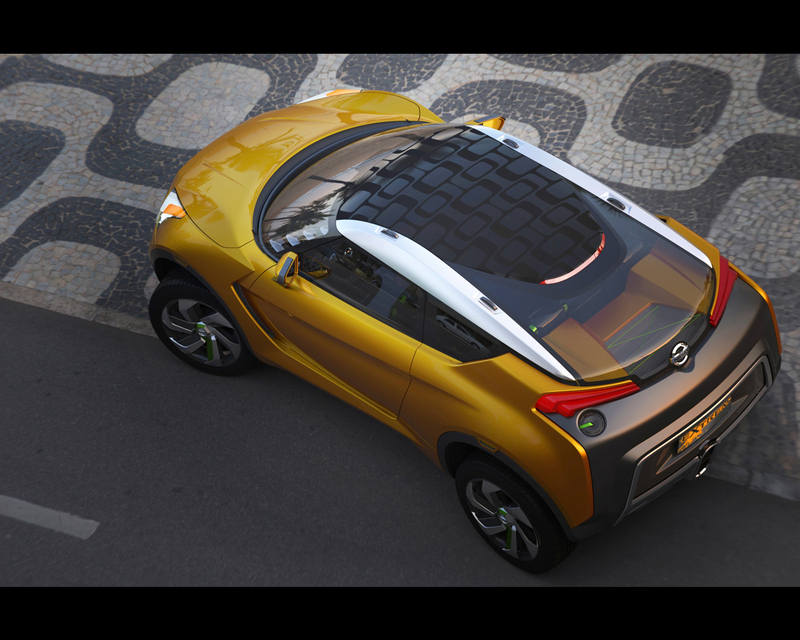 The vibrancy, color and excitement of Brazil has been captured in Nissan EXTREM, a radical concept car aimed squarely at young (and young-at-heart) car enthusiasts keen to make a statement on the roads. "Brazil is a country of great natural beauty and it has a passionate, rich culture. But this is not always reflected in the cars on its streets, especially the more affordable locally produced vehicles which tend to be conservative in design, color and specification," said Shiro Nakamura, Senior Vice President and Chief Creative Officer. 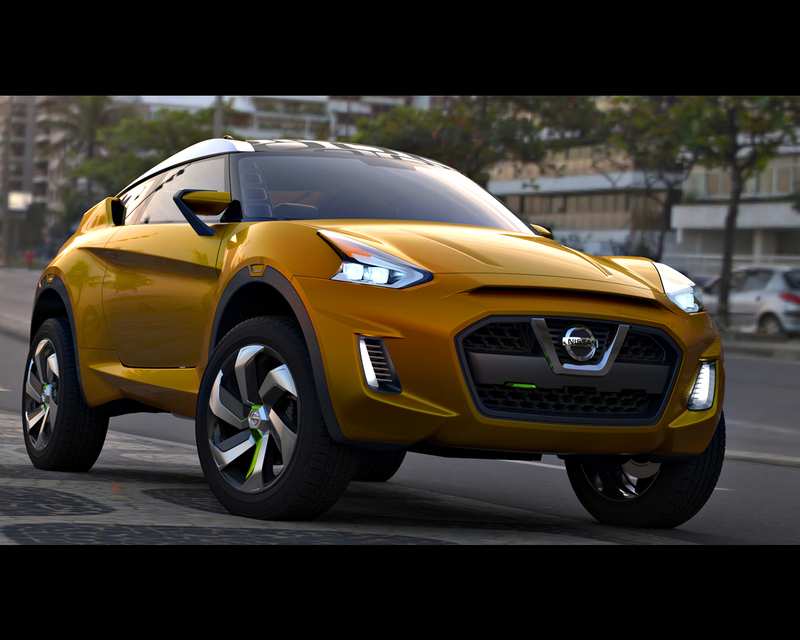 Its unveiling at the Sao Paulo Motor Show underscores Nissan's commitment to Brazil. The country is one of the largest new car markets in the world and one in which Nissan enjoys significant sales growth. The company claimed almost two per cent of the 2011 market, doubling its 2010 sales, and aims to account for five per cent of new car sales in Brazil by 2016. Nissan's investment in Brazil includes an all-new manufacturing facility in Resende in the state of Rio de Janeiro, which is scheduled to start production in the first half of 2014. When operating at its full potential, the plant will produce 200,000 units annually. "We have created EXTREM to show how serious we are about Brazil. 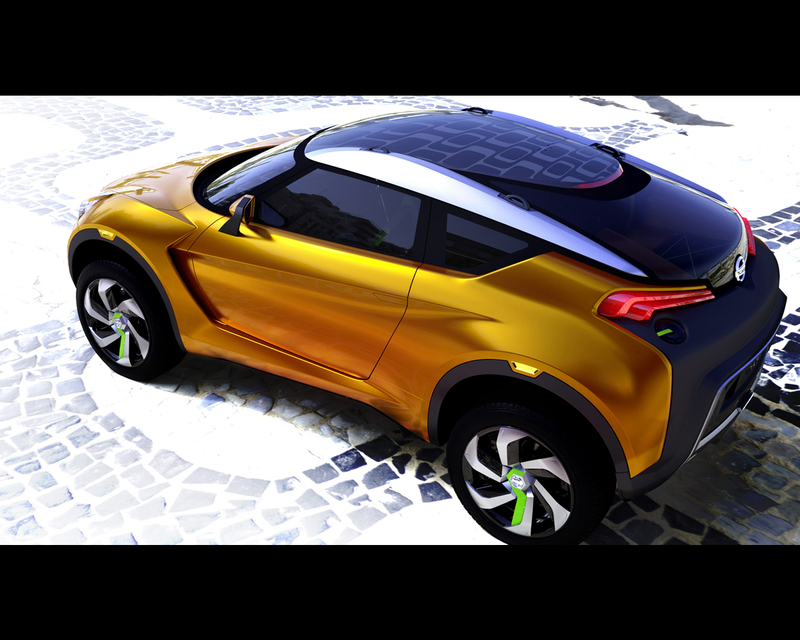 EXTREM is provocative, energetic and engaging and it reflects the passion, innovation and excitement we put into all our cars," said Christian Meunier, President of Nissan Brazil. Right from the early stages of its development, the design team behind EXTREM was clear about the direction the concept should take. "We call it Baby Beast," said Robert Bauer, Senior Design Manager for the project at NDA. "We see it as an urban rally car, a tough little street fighter that can handle the urban jungle with agility and confidence." From the outset it was considered vitally important that design inspiration should come from Brazil itself. Although the NDA design team is based in San Diego, creative time on the project was spent mostly in Sao Paulo. The NDA designers managed the project remotely from San Diego and developed clay and digital models using local resources in Sao Paolo. 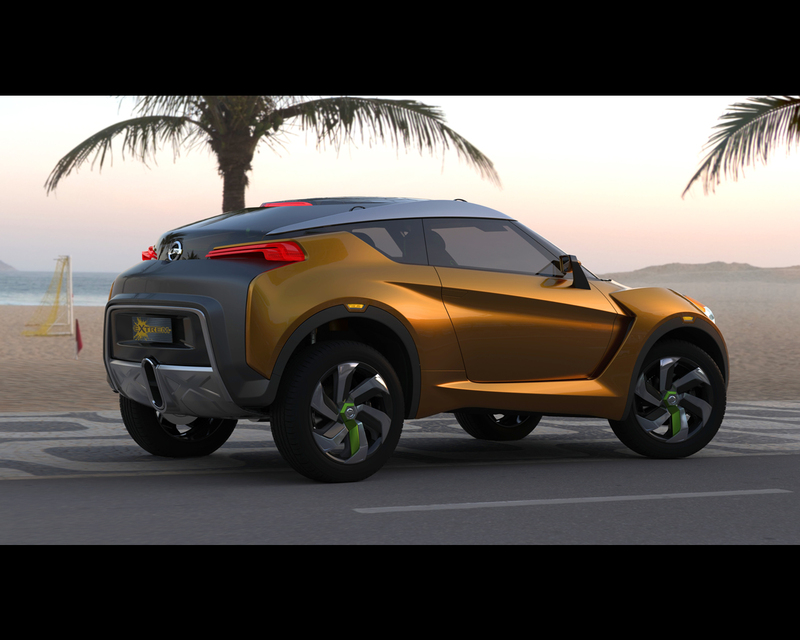 The result is an exotic and distinctive concept for a new genre of compact sport vehicle with a unique silhouette. The lower half of the body and raised ground clearance expresses its strength, while the sharply sloping roof line suggests its sporting intention. The combination of innovative elements such as the wraparound glass, floating roof rails and detached C pillars enhance the feeling of an open, airy cabin. The body's shape and surfaces exude a feeling of strength and agility with muscular fender volume defined by sharp creases. Overlapping panels and unique surface interplays create a feeling of layered armored toughness. Showing EXTREM also has a practical side to its nature, the roof rails incorporate cleats for load carrying, while the unique see-through A-pillar structure provides enhanced outward visibility. Both the headlamps and tail lamps feature Nissan's signature graphics and advanced LED technology. Bracketing the glass hatch, the rear lights have high-tech layered fins, showcasing an airy, lightweight structure. A prominent aluminum skid plate, embossed to add strength, houses the centrally mounted exhaust. Although clearly a tough little street fighter, quality craftsmanship and attention to detail can be found throughout the car. Examples include flush mounted door handles, integrated side marker lamps, lightweight fender-mounted mirrors and the flush A- and B-pillars which create a seamless canopy. A compact 2+2, EXTREM has a dedicated luggage space in the rear. A clever two-tier system provides secure storage, where items can be hidden from prying eyes beneath an exposed and removable cargo bin which is accessed via the rear hatch. The bin is designed for day-to-day items and fits neatly underneath a structural cross brace that adds extra stiffness to the shell and accentuates the sporting nature of the car. The exclusive Solar Cortex body color, a deep metallic orange with radiant highlights, pays homage to Brazilian nature. Brightly colored accents provide ‘pops' of energy and can also be found on the gas cap, tow hook and the wheels, adding to the urban rally car theme. Six-spoke 19-inch alloy wheels are double layered with a dark inner and brushed metal outer and provide enhanced cooling to the brakes.